IN his continuing search for the more weird, wacky and wondrous in the world of travel, David Ellis says that while most of us see getting out the lawnmower as a chore, there are growing numbers in this country who salivate over their mowers for another reason – they modify and race aboard them at speeds of up to a bizarre 140kph. The idea of racing around on ride-on lawnmowers goes back to 1963 in America and 1973 in the UK, while in Australia five blokes are said to have decided to race each other on their mowers to the top of a local hill in 1978 – after taking a glass or three at the Harrietville pub in Victoria, and then coasting back down to the bottom. 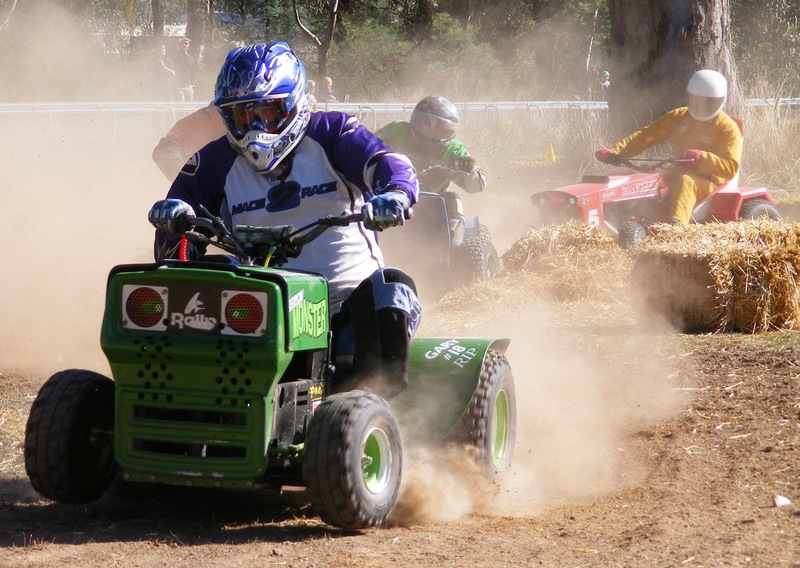 And as a result of that, says Brian Guzzardi, Public Relations Officer for the Australian Ride-On Lawn Mower Racing Association (AROLMRA,) "lawn-mower racing was born in this country." 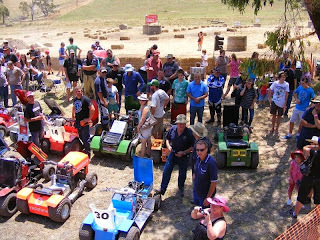 Today half a dozen clubs in Victoria, NSW and Queensland boast a-near 200 members who are required by club rules to keep the original bodies of their ride-on's, but can re-work everything underneath from engines to chassis and wheels to enable mowers to reach those amazing 140kph speeds. 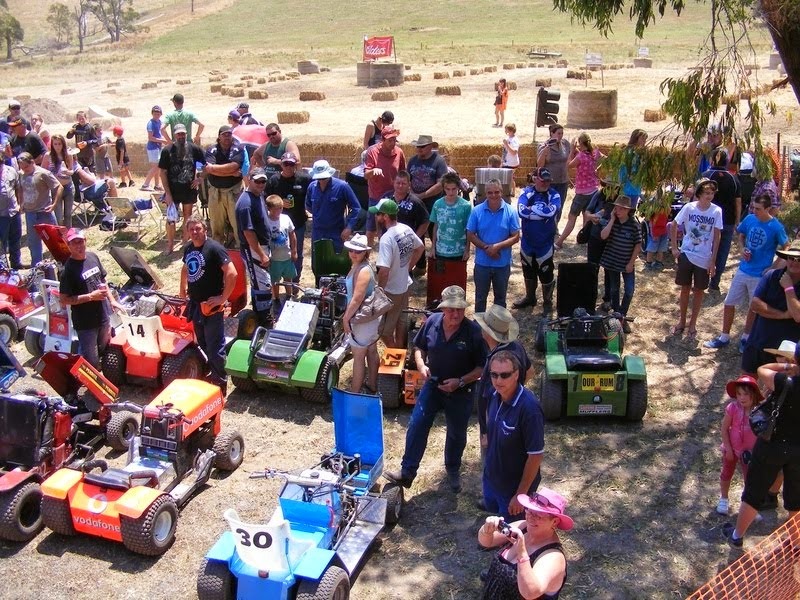 Regular meets are held with distance races, sprints and endurance events, while many members also show-off their machines at country carnivals and shows, with funds raised from many of these events going to local community organisations. THEY'RE racing – giving whole new meaning to "getting out the mower." ENTHUSIASTS admire modified ride-on mowers that can reach speeds of up to 140kph.